Tokyo residents woke up on Thursday to something which they have not seen in last 54 years. 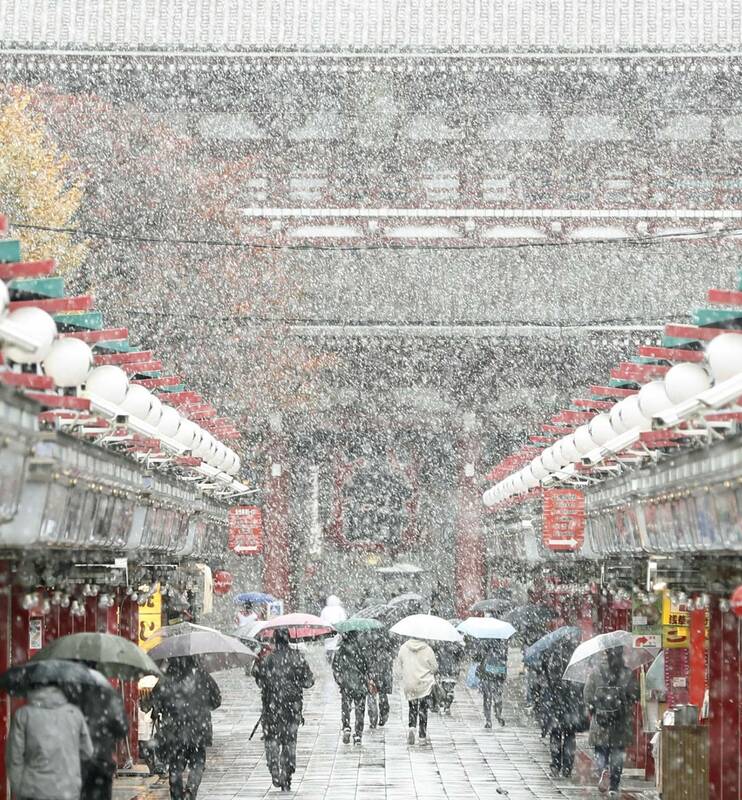 On Thursday morning, Tokyo witnessed first snowfall in more than 50 years. According to Japan meteorological agency, it was the first time fallen snow on the ground was observed in November since such records started to be taken in 1875. Meteorologists forecast snowfall of up to 1 inch would fall and more in the mountains in the northwest of Tokyo. An unusually cold air mass brought wet snow to Japan’s capital. Japanese culture is sensitive to changing seasons. Fun fact: The first snowfall is “hatsuyuki,” which literally translated to “first snow.” Snow on the ground is called “sekisetsu”.